The whole of India and Social Media had been abuzz with the news of Sachin Tendulkar’s retirement. 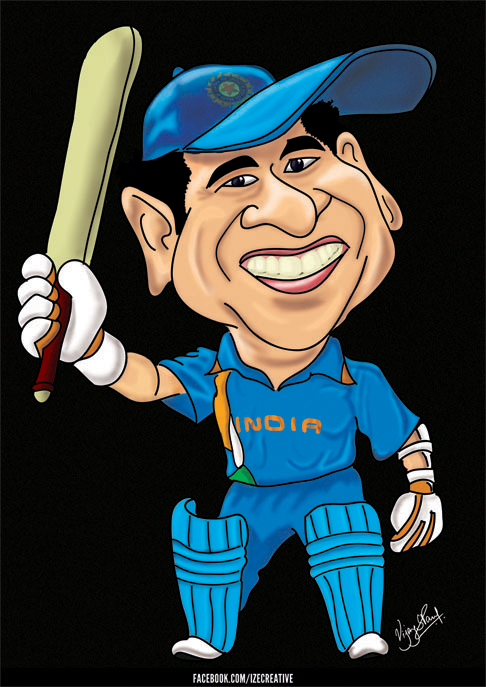 Hence, as a tribute to him, thought of doing this caricature for the Master Blaster. Close to 7 hours of work. Drew the outlines in Adobe Illustrator and the colouring in Adobe Photoshop, since am more accustomed to the latter. Wanted to use colours for the shading areas, but instead, the lazy me went ahead with using the Dodge and Burn Tool. Shoot me!